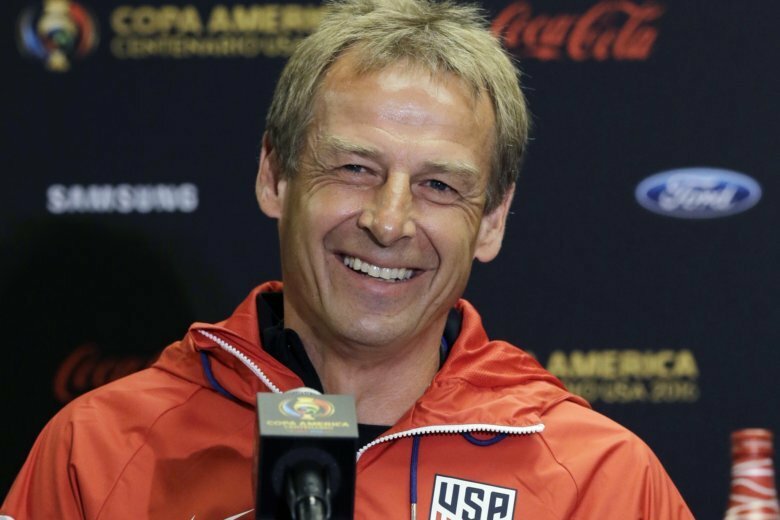 CHICAGO (AP) — Jurgen Klinsmann received a $3.35 million settlement of his contract with the U.S. Soccer Federation, according to the USSF’s tax filing. Arena earned $899,348 in base pay during the fiscal year and a $50,000 bonus, according to the filing, which was first reported by The Washington Post. He quit after the U.S. loss at Trinidad and Tobago in October 2017 that ended the Americans’ streak of seven straight World Cup appearances. Dave Sarachan, Arena’s top assistant, was the interim coach from October 2017 through last November. He had a base salary of $223,656 during the fiscal year. Klinsmann’s top assistant, Andri Herzog, was given a settlement of $355,537 during the fiscal year. He is now Israel’s national team coach. U.S. women’s coach Jill Ellis earned $291,029 in base pay during the fiscal year, which did not include a major tournament. He compensation was topped by under-20 men’s coach Tab Ramos, who had $295,558 in base pay plus a $30,000 bonus.